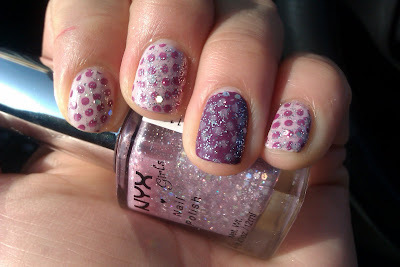 Polish Amor ♥: Seeing Dots! 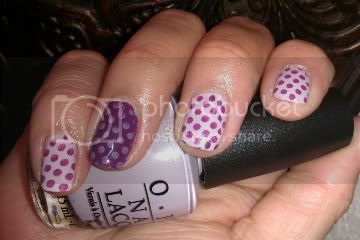 You can never go wrong with dots...I have been using a lot of greens lately, so i figured i needed to change it up a bit. This is OPI Steady As She Rose, the darker color not sure what is called but its a cosmetic arts polish, I cant seem to find the name in any of those polishes.. weird!